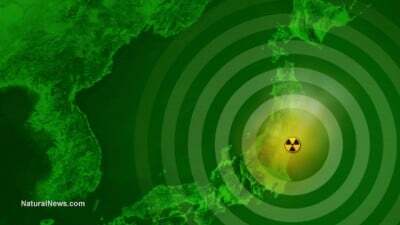 A clean-up mission using a remotely operated robot at Japan’s crippled Fukushima nuclear plant has had to be aborted, as officials feared they could completely lose control of the probe affected by unexpectedly high levels of radiation. The robot equipped with a high-pressure water pump and a camera designed to withstand up to 1,000 Sieverts of cumulative exposure had been pulled off the inactive Reactor 2 at the Fukushima Daiichi nuclear complex earlier this week, The Japan Times reported Friday, citing the plant operator, Tokyo Electric Power Company (TEPCO). The device reportedly broke down just two hour into the probe. The failure led experts to rethink estimated levels of radiation inside the damaged reactor. Even despite the considerable 30-percent margin of error for the revised estimate, the latest probe left no doubt that radiation levels are at record highs within the reactor. Even though it cannot be measured directly with a Geiger counter or dosimeter, the dose is calculated by its effect on the equipment. Last month, a hole of no less than one square meter in size was discovered beneath the same reactor’s pressure vessel. The apparent opening in the metal grating is believed to have been caused by melted nuclear fuel, TEPCO then said. The recent mission has demonstrated that the melted fuel is close to the studied area. While extreme radiation levels have been registered within the reactor, officials insist that no leaks or increases outside have been detected. The failure might force Japan to rethink the robot-based strategy it has adopted for locating melted fuel at Fukushima, according to The Japan Times. The robot affected by radiation was supposed to wash off thick layers of dirt and other wreckage, clearing ways for another remotely controlled probe to enter the area, tasked with carrying out a more proper investigation to assess the state of the damaged nuclear reactor. Previously, even specially-made robots designed to probe the underwater depths beneath the power plant have crumbled and shut down affected by the radioactive substance inside the reactor. The Fukushima Daiichi nuclear power plant suffered a blackout and subsequent failure of its cooling systems in March 2011, when it was hit by an earthquake and tsunami. Three of the plant’s six reactors were hit by meltdowns, making the Fukushima nuclear disaster the worst since the Chernobyl catastrophe in Ukraine in 1986. TEPCO is so far in the early stages of assessing the damage, with the decommissioning of the nuclear facility expected to take decades.